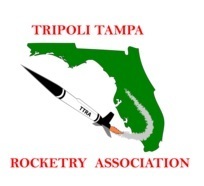 TTRA is the Tampa Bay prefecture (#17) of the Tripoli Rocketry Association. Our mission is the promotion and safe pursuit of hobby and high power rocketry. All launch activities are conducted under the safety rules of the Tripoli Rocketry Association and the National Association of Rocketry. Launches are held at the Rocking V Ranch in lant City, FL.